Thanks to globalization, open trade, and easily accessible knowledge, you often meet people who are passionate about countries that they were not born in or have no connection to. Some people love what a certain nation has to offer – whether it’s the nuances of their culture, their food, their philosophies, or beliefs. Long ago, however, the world was not as easily accessible as it is in this time, and it was much harder to find someone so deeply engrossed in a culture that wasn’t his or hers. One man broke that mold during the 1800’s and stood out for being one of the few men who had submerged himself into a nation that had just opened its doors to the world. Not only did he really soak in everything had to offer, he contributed many literary pieces to it as well. 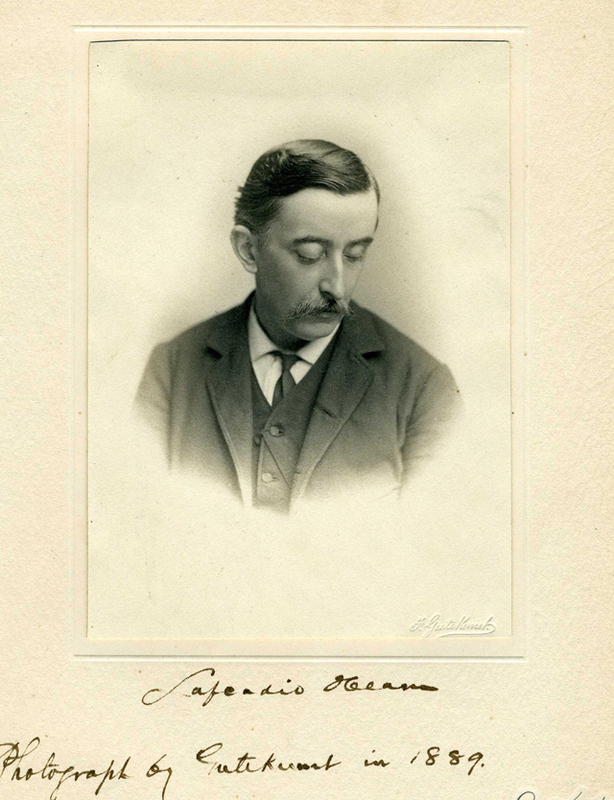 This man’s name is Koizumi Yakumo – otherwise known as Lafcadio Hearn. Koizumi Yakumo – written as “小泉 八雲” in Japanese - was born on June 27, 1850, under a different name. Because he had an Irish father and a Greek mother, his name was spelled two ways; Patrick Lafcadio Hearn, and “Πατρίκιος Λευκάδιος Χερν”. He would, later on, assume the name of Koizumi Yakumo. Koizumi knew 3 different languages; English Greek and Japanese, and also had 3 different nationalities; still Irish, Greek, and Japanese. He went to both Ushaw College and the University of Durham in England to study. He married twice; his first wife was Alethea Foley; nicknamed “Mattie”, and Koizumi Setsu. Koizumi died on September 26, 1904, from heart failure. Zoshiyaga Cemetery, located in Toshima, Tokyo, is where his remains lie. Koizumi Yakumo traveled extensively for his life, as he was abandoned by his father and mother and left in the care of his father’s aunt. He spent many days reading in the local library, and also had injured his eye, leaving him blind, and posing for pictures so as to cover it. He initially emigrated to Cincinnati where he worked for the local newspaper and got married, then moved to New Orleans, the French West Indies, and lastly, to Japan. He carried many anti-religious views but later became a Buddhist during his stay in Japan. Koizumi is best known for his work that he created during his residence in Japan. It was in 1890 that he arrived here, as he was going to be a newspaper correspondent, but that didn’t work out. 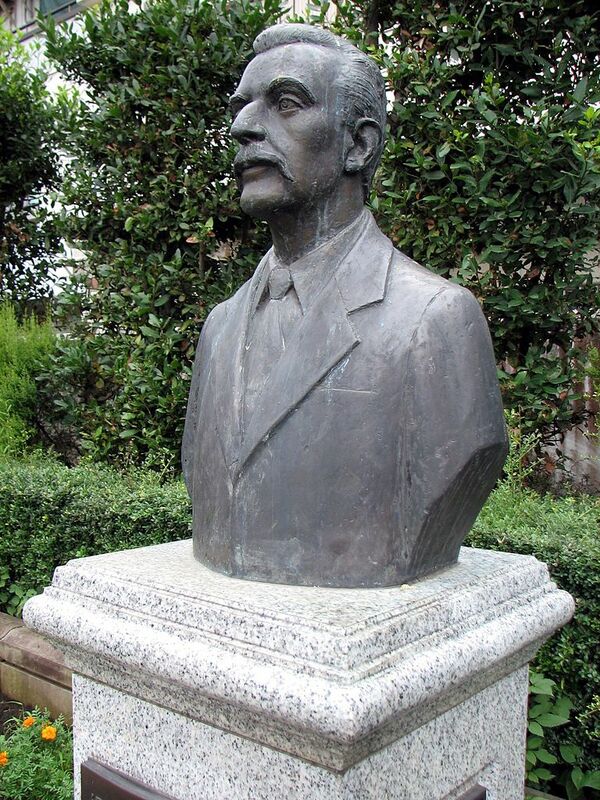 Instead, he became a teacher at Shimane Prefectural Common Middle School, and also the Normal School in the town of Matsue, thanks to Basil Hall Chamberlain. He met and married Koizumi Setsu and had children with her. He has established a legacy for penning many books about the culture of Japanese society and contributing to the country’s literature, as it enthralled him. He often compared it to the western culture he was so used to, with a bias towards eastern culture. These books would later represent the true workings of Meiji-Era Japan to Westerners who were curious about a country that was once so private. Koizumi had written many books and stories in his life, with anthologies being compiled decades, and even an entire century after his death. Glimpses of Unfamiliar Japan was the first book he wrote about Japan, and that was published in the year 1894. Among his other books written about topics pertaining to Japan and Japanese culture were “Kokoro: Hints and Echoes of Japanese Inner Life”, which was published in 1896, “Japanese Fairy Tales” (which would grow to have more sequels), In Ghostly Japan, released 1899, and the popular “Kwaidan: Stories and Studies of Strange Things”, which was published in 1903 and would subsequently be turned into a film. Those are only a few of the titles, as he wrote a total of 16 books. He wrote many other pieces as well, such as translations of stories. He translated many literary pieces into Japanese, including work by Theophile Gautier, Emile Zola, Guy de Maupassant, Anatole France’s “The Crime of Sylvestre Bonnard”, Anatole France’s “The Crime of Sylvestre Bonnard” and lastly, Gustave Flaubert’s “The Temptation of Saint Anthony”. 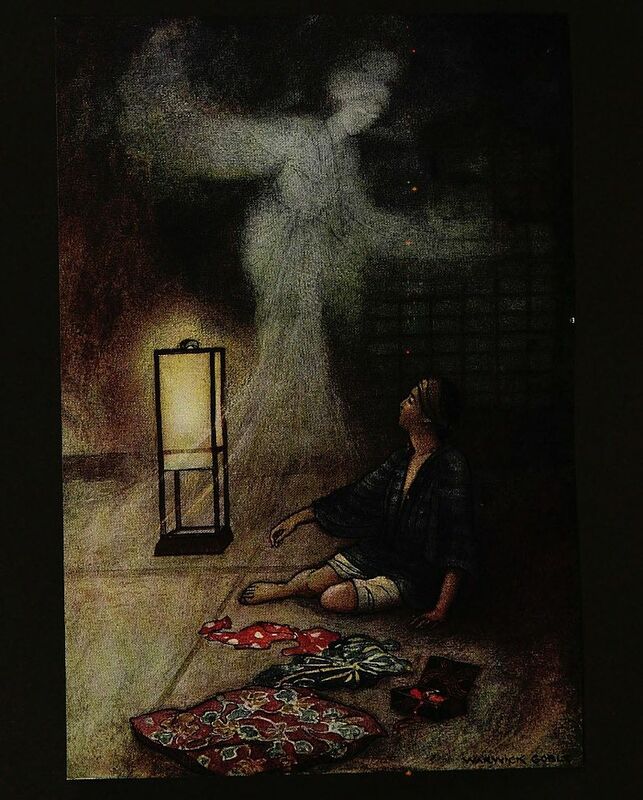 This book, written by Yakumo, comprises of different ghost stories native to Japan. Though most people may think that Yakumo made these up entirely himself, thus adding different paranormal entities to the list of “Yokai” (Japanese supernatural monsters), Yakumo insists that a large percentage of his stories were merely translated from Japan’s own ancient texts. Other stories were told to him by people he had known personally, such as a man who worked as a farmer, hailing from Musashi Province. One story – the Riki-Baka – is Hearn’s own story, as he drew from a personal encounter. The word “Kwaidan” is linked directly to the word “Kaidan”; which is romaji for a two kanji. The first, which is “kai”, (怪) is a description of bewitching and mysterious, and the second, “dan” (談) means something that is recited or spoken about. Combined, the kanji depicts a mysterious narrative that is spoken about, which is exactly what Yakumo’s book is all about. There are 17 stories within Yakumo’s Kwaidan; the most popular ones being “The Story of Mimi-nashi Hōichi”, “Jikininki”, “Rokurokubi”, “Mujina”, “Yuki-Onna”, “The Dream of Akinosuke”, and “Hōrai”. The word “Mujina” (貉) can refer to a badger, but when it comes to Japanese mythology, it refers to deceiving shapeshifters. Koizumi has one story entitled “Mujina” in his book Kwaidan, and it is popular among readers for its simplicity and creepiness. In this story, a merchant was walking down Akasaka road in Tokyo, on a slope called “Slope of the Province of Kii”. He saw a woman who was well-dressed (and seemed to come from a moneyed family) sobbing and wailing by a moat that was next to this slope and approached to help her. He beckoned at the woman first, coming closer to her, and kept asking what he could do to help her. He was worried that she would attempt to drown herself in the moat because of her misery. He got close to her and put his hand on her shoulder - when she turned to look at him, and he found out that she had absolutely no facial features. No nose, no eyes, and no mouth; just blank. The merchant then began to explain what he saw – a woman sobbing by a moat, but he couldn’t fully explain to the soba vendor that he had just seen someone with a blank face. The soba vendor interrupted him, asking him, as he was stroking his face if the woman looked like him – and he turned to the man with a face as blank as the initial woman’s. Right then, the light on his cart goes out. The spirit that is Yuki-onna had been present in folklore long before Yakumo had written a story about her – in fact, her stories date way back to the Muromachi period, with tales written by a renga poet named Sogi. “Yuki-onna” is romaji for the Japanese word “雪女”, which can be translated to “snow woman”. She can go by many other nicknames, such as “Yuki-onago” (snow-girl), “Yuki-onba” (snow granny), etcetera. The story by Yakumo talks of an old woodcutter, and his 18-year-old apprentice named Minokichi. In summary, the two got caught in a snowstorm and had to take shelter in a ferryman’s hut. As they slept there and waited out the vicious weather, Minokichi woke up due to the strange snowfall on his face, and even more alarming, a woman dressed all in white clothing. He could not yell to alarm the older woodcutter, who she was blowing her smoky, cold breath on. She then went to Minokichi, stooping over him, and he noticed she was extremely pretty. While she said she wouldn’t hurt him now, she threatened him that if he ever spoke of this encounter, she would kill him. Later that morning, Minokichi found out that the old man beside him had died, his face frozen. He continued his journey home, shaken, and met a pretty girl in his travels. Her name was O-Yuki, and they fell in love and got married. 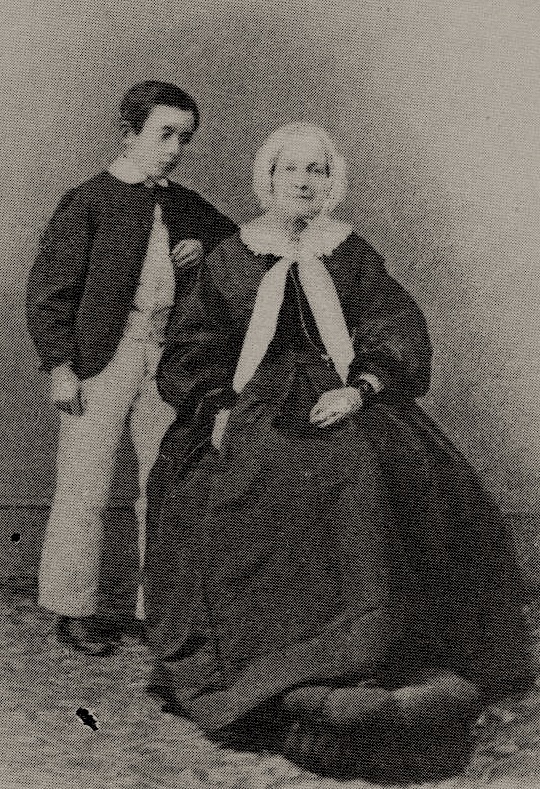 She bore him 10 children, and they had many happy years of successful marriage together. One day, the glow of a paper light shone softly on O-Yuki’s face as she was sewing. This struck Minokichi, reminding him about the visitation of the supernatural woman that fateful night, as he shared his experience with his wife. His wife then hysterically launches at him, revealing that she was, indeed, the entity that had killed his friend, and threatened him that night. She then goes on saying that she would have fulfilled her promise and killed him had they not had their children sleeping close by. She goes on to say that he had better take care of them because if they had anything bad to say about the way he was treating them, she would come back and be his death. She then screamed, thinning away as melted into smoke, and shrieked like the wind in a snowstorm, disappearing forever. Other than being an amazing writer of detailing events, as well as a translator, Koizumi was also a lover of poetry, and a poet himself. He wrote “Appreciations of poetry” wherein he studies several different poems written by English poets. That book was published in 1916. Although he indeed wrote poems himself, his older pieces are scarce to find, as many of them were written in article form, during his years working at the Cincinnati Commercial. He took a liking to writing prose poems, particularly. More of his later poetry written in the form of the haiku can be found in “Kwaidan”. Yakumo is famous for once having said, “A great many things which in times of lesser knowledge we imagined to be superstitious or useless, prove today on examination to have been of immense value to mankind.” While he doesn’t directly assert it, he talks about how the west does not necessarily entertain superstition and scoffs at it for making no sense to them, but it does have its reasons for circulation and its own benefits. There is a modern example which could put his quote into proper perspective. While it was deemed wives’ tales for chicken soup to truly ease a cold, recent experiments have found that it does help speed up the process of recovering from one eventually. How would have this superstition of drinking chicken soup when one has a cold been so prevalent in the past if they had no research on it? It has given many people relief from symptoms, and has, in fact, benefitted humankind. After reading up on this historical writer, are you now a fan of Koizumi? If so, there are several places you can visit when you come to Japan that pays tribute to Koizumi's talent and life – and one of them is right in the heart of Japan’s Capital, Tokyo, in Shinjuku. Koizumi Yakumo Commemorative park is ranked #109 out of the 413 things to do while in Shinjuku and has a 3.5-star rating, ranked by 12 reviews. It’s a decent garden that holds a bust of Koizumi here, along with inscriptions of what he was famous for.